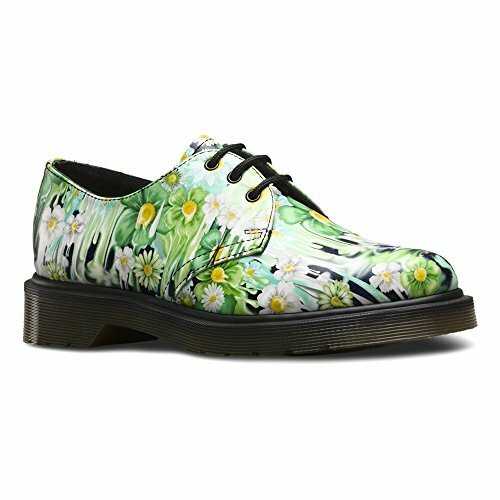 Inspired by the 'gore writing' of psychobilly flyers and artwork, this splash of melting, colorful florals, drips down from the top line to the sole, updating one of Dr. Martens most iconic 3 eye shoes. The Reinvented range takes classic Dr. Martens styles and customizes them, playing with their history to create something new every season. This is a Goodyear-welted product, with the original Dr. Martens air-cushioned sole. Material: Leather.